Videos : Mark Stone scores just 16 seconds into Game 3! Mark Stone scores just 16 seconds into Game 3! San Jose Sharks goaltender Martin Jones has not been strong in the early game for his team during their first round series against the Las Vegas Golden Knights in the 2019 Stanley Cup Playoffs, and he gave up another early goal on Sunday night. Now to be clear it would be unfair of me to blame Jones entirely for this one as it requires a team wide failure to give up a goal in the game this early, but no question this is going to be one he is going to wish he could have had. The Sharks got off to a horrible start in Game 3 of their series against the Golden Knights with Golden Knights forward Mark Stone scoring after just 16 seconds had ticked off the game clock in the game's very first period. An early turn over in the neutral zone by the Sharks gave the Golden Knights position and just seconds later an outlet pass had sprung Mark Stone on something of a partial breakaway and he burst through the Sharks defense, beating Martin Jones with a beautiful backhand up high. 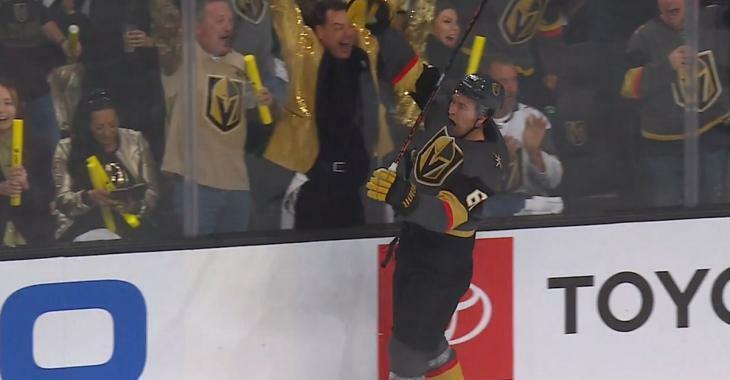 It is too early to tell if this goal will set the tone for the game for the golden Knights, but given the way the first period has gone thus far it seems to have at least set the tone for the first period of the contest. Not the star the Sharks wanted.